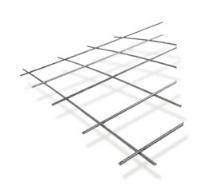 The grid that produced by machines of this type is used as a building material or fence depending on the thickness of the wire and the size of the so called “eyes”.The connection of the horizontal with the vertical wires is done by electrowelding. In cases of old machines couplers are replaced. Usually there are three servo axis. One pulls wires parallel to each other. The second feeds a single wire vertical to the others while the third moves the electrowelding heads.In new machines PLC are installed to create recipes, recording and production management. Benefits of servo in such applications is bigger due to great power needs. In addition to improved product quality and reduce maintenance costs by using servo we have lower energy consumption.